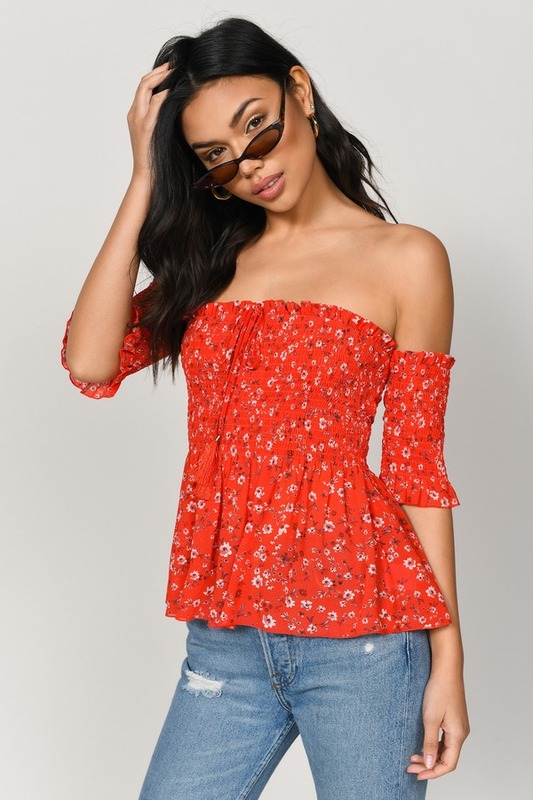 Check out Tobi's Eva Off Shoulder Peplum Top Brunch date dramas are solved thanks to the Eva Off Shoulder Red Peplum Top. In a floral print, the chiffon blouse has a smocked bodice and sleeves, with a peplum hem, a tie at the center and frill hems to finish. Pair this off shoulder top with the matching shorts to meet your babes. 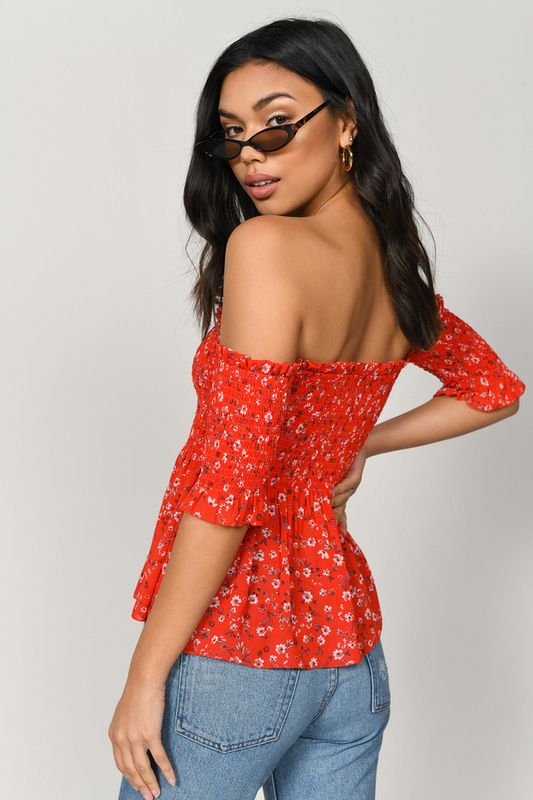 Brunch date dramas are solved thanks to the Eva Off Shoulder Red Peplum Top. In a floral print, the chiffon blouse has a smocked bodice and sleeves, with a peplum hem, a tie at the center and frill hems to finish. Pair this off shoulder top with the matching shorts to meet your babes.